We are a local amateur dramatic society in the small market town of Morpeth in Northumberland. We welcome NEW MEMBERS and hold an open evening in September every year with news for returning members and anyone interested in joining our society. Children are welcome to join the society and family memberships are available for children from school year 5 upwards (a parent must be present at ALL rehearsals and shows) and from school year 9 we offer a junior membership, this means that a parent is no longer required to be present at ALL rehearsals and shows but you must agree to a code of conduct before your membership is agreed. Rehearsals are usually held on a Monday evening from 7-9pm at KEVI school and increase to Tuesday and possibly Friday rehearsals nearer to showtime. The weekend before show week is usually full of dress rehearsals and commitment to the society is of paramount importance for everyone involved. The Sunday following show week is you will be expected to be present to help clear up. We are a society of like minded people and everyone is expected to pitch in. You will not be allowed to audition for shows unless your membership is active, please ensure if you want to audition that you have paid your subs and that all outstanding paperwork is up to date. 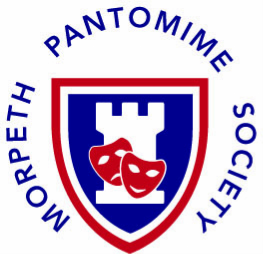 The Morpeth Pantomime Society was originally founded in 1979 by Christine Barron together with parents of some of the pupils who attended a local ballet school. It was formed as a family society and this is still at the heart of the values of the society today. A lot of hard work and enthusiasm produced the first pantomime 'Red Riding Hood' in January 1980. From three year olds to teenagers there was a lot of acting talent in the dancing school. Dads and Mums were persuaded (cajoled might be a more appropriate word) to fill in the necessary adult roles, such as Dame, Village Idiot or Villain. Also among the parents were found dressmakers, electricians, joiners capable of building stage sets, sound engineers and make-up know how. Morpeth now had its very own Pantomime. After several years of Pantomimes and summer fundraising the Society decided to stage a Summer Show. Initially this took the form of a light-hearted Review or Old Time Music Hall.It wasn't long before the Committee decided the Society should attempt a Musical and in 1998 'Half a Sixpence' was performed at the King Edward VI school to great success both in production terms and in raising funds. In the following years summer shows included 'Anything Goes', 'Calamity Jane' and ' 'Allo, 'Allo '. In 2017 Cinderella in Pantoland written by local scriptwriter and society life member Gordon Carr marked the 38th Pantomime performed by the society at KEVI School and was an incredible success with sell out audiences. In those thirty eight years a few hundred current and former members have enjoyed (well most of the time) giving many hours of their own time and effort to the productions. Each annual panto has been attended by an average of 900+ people, add to that the attendances at Summer Shows and we can say that our total audience to date is in the region of 35,000 people, of all ages from toddlers to Grandparents and beyond. It is well worth remembering that a local pantomime is often a young child's first introduction to live stage performances.